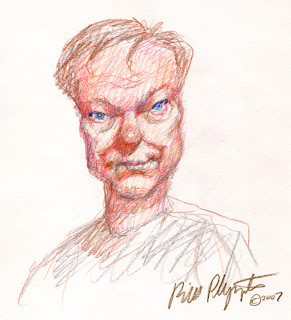 Special Guest announcement: animator Bill Plympton! The Boulder International Film Festival is pleased to announce its first featured film and special guests for 2012! The film is the documentary “Adventures in Plymptoons!,” and we will welcome its director, Alexia Anastasio, and its subject – one of America’s greatest living animators, Bill Plympton. Bill Plympton’s instantly recognizable style, absurd wit and storytelling verve makes him one of our most distinctive and hilarious talents. For more than 25 years, he has hand-crafted a staggering variety of short films, features, commercial projects and more. A multiple Oscar nominee and Cannes honoree, Plympton’s vision encompasses slapstick, surrealism, satire . . . and a kind of ever-expanding, stretchy, numinous vision of the universe that can only be equated with the idea of putting Silly Putty on acid. His short “Push Comes to Shove” won the Palme d’Or at Cannes in 1991. In 1987 he was nominated for an Oscar® for his animated short "Your Face". In 2005, Bill received another Oscar® nomination, this time for a short film "Guard Dog". After producing many shorts that appeared on MTV and Spike and Mike's, he turned his talent to feature films. Since 1991 he's made 9 feature films, 6 of them, "The Tune", "Mondo Plympton", "I Married A Strange Person", "Mutant Aliens", "Hair High" and "Idiots and Angels" are all animated features. BIFF 2012 festivalgoers will enjoy not only the feature portrait of Plympton, which includes interviews with such animation icons as Will Vinton, Terry Gilliam and Ralph Bakshi, but will take part in post-screening interviews with Anatasio and Plympton. 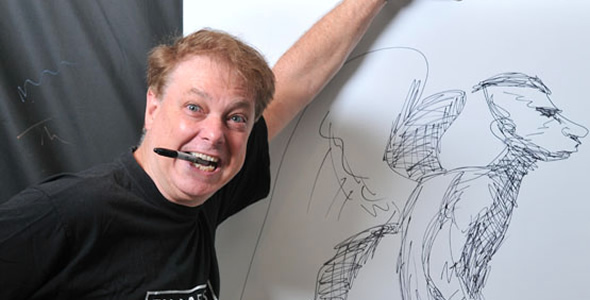 Most excitingly, Mr. Plympton has agreed to lead a master class in film animation at this year’s festival – a marvelous opportunity to learn from a contemporary master of the painstaking art of animated filmmaking. For more information, please bookmark our website at http://www.biff1.com/. Discount VIP passes and BIFF gift certificates are still available! Stay tuned to our blog, blog.biff1.com, or follow us on Facebook and/or Twitter. More fun and wonderful updates soon!